The camera cage is used to protect Sony A6500 camera. 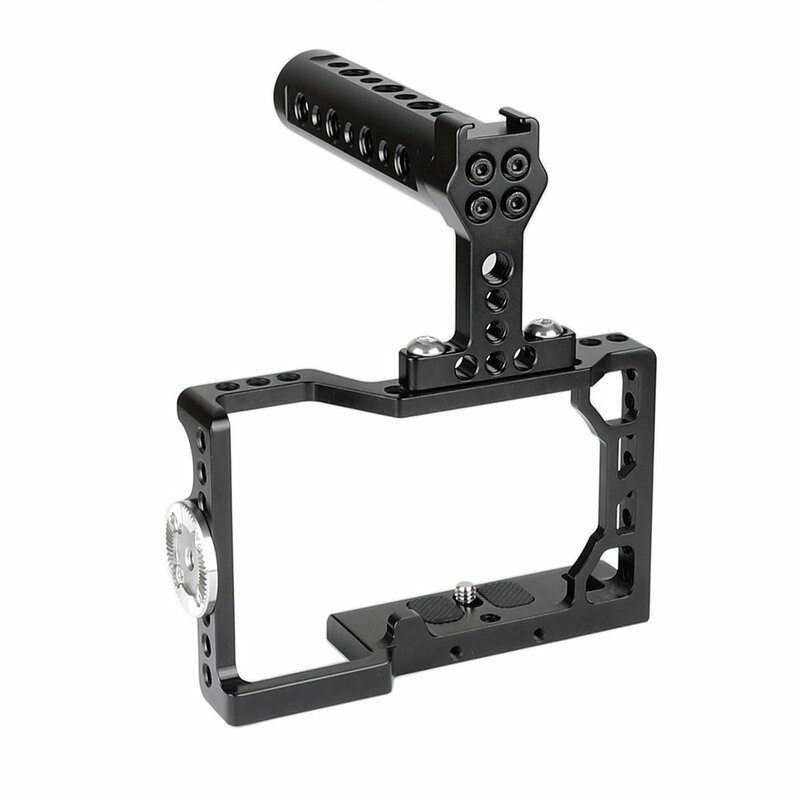 This cage have two shoe mount and 1/4"-20 threads providing you a lot of DIY attaching accessories, such as plate, tripod or monopod. With the camera in the cage, you still have access to the SD card slot, battery compartment, and all camera controls, so you won't have to waste time removing the camera from the cage during a shoot. NOTE: It is a special cage compatible with Sony A6500 only, but not applicable for A6000 and A6300. Please choose cautiously.